Microsoft® Active Directory® (AD or MAD) has been dominating the identity management space for nearly two decades. AD has certainly started to show its age, however, with the arrival of web applications and increased use of non Windows® systems. As more chinks appear in the directory service giant’s armor, IT admins are starting to wonder if there is an identity management replacement to the legacy, on-prem identity provider approach. Admins will be happy to know that there is a cloud identity management replacement. But, before we dive too deep in the solution, we should dissect the problem first. Since its creation in the early 2000s, Microsoft Active Directory was king of the IT playground. The IT network was largely Windows dominated and all on-prem. Microsoft was a powerhouse and for good reason, it only made sense to have all of your IT resources under one umbrella. Solutions like AD and SCCM would be the bedrock for organizations in managing their users and Windows systems—it was like one great IT Matryoshka doll—as far as ease of use goes, admins couldn’t ask for much more. However, with the emergence of non-Windows systems like Linux® and Mac®, web applications like Salesforce, cloud infrastructure like G Suite™ and AWS®, mobile technology, and more, the IT market started to change and look towards the cloud to securely manage networks. Since Active Directory was best suited for Windows products and solutions, IT admins were forced to purchase add on solutions to repair gaps that were cropping up with AD. Using tools like single sign-on (SSO) software, identity bridges, and other add-ons, organizations could patch the holes in the once impenetrable directory service. These quick fix solutions created this hodgepodge identity management system that simply couldn’t keep up with the modern day IT network. 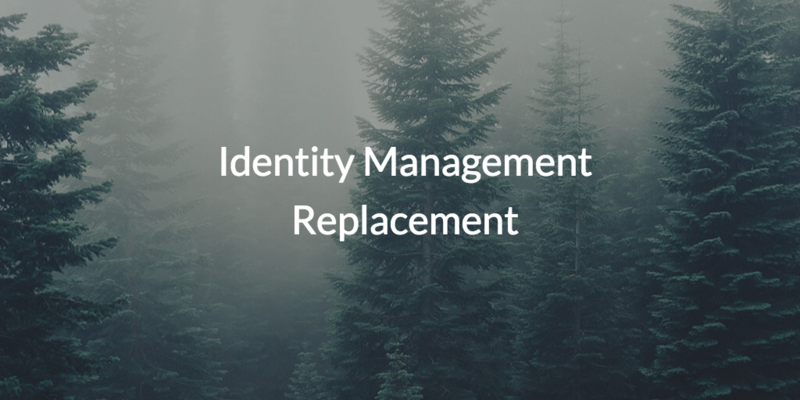 As these add on solutions became more and more cumbersome to deal with, IT organizations realized that a next generation identity management replacement strategy was needed. It only made sense to attack the problem at its roots. With the world making the migration towards the cloud, the most logical solution was to put the backbone of your IT realm in the cloud as well. This modern approach to directory services would need to be cross-platform, multi-protocol, vendor-neutral, and location-agnostic. In short an identity management replacement needs to connect users to whatever IT resources they need, whenever they need to, from anywhere. JumpCloud®, the first Directory-as-a-Service® platform, replaces the need for add on solutions to AD, because it is an entirely new identity provider (IdP) in itself. 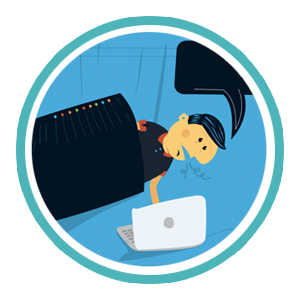 This cloud-based directory service can securely connect users to WiFi via RADIUS, authorize and authenticate to LDAP applications, control access to Windows, Mac, and Linux systems, enforce system security standards with Policies, provision identities via Office 365™ and G Suite, and do it all regardless of operating system. If you’re ready to replace the AD and add on conglomeration with Directory-as-a-Service, consider signing up for a free account! Signing up doesn’t require credit card information and comes with your first ten users free to get you started. If you’d like to see the product in action, you can schedule a demo or check out our YouTube page for tutorials and whiteboard videos! Feel free to contact us, our team is happy to answer any further questions you may have.